Broad Creek Scout ReservationSummer CampCub Camp 1Why Cub Camp? Why go to Broad Creek Cub Camp? Why go to Broad Creek Cub Camp? Well, Cub Camp is guaranteed to be one of the best experiences you will ever have with your son during his childhood. The Cub Scout years are the optimal time to spend with your son and create memories for the rest of your lives. Cub Camp provides you the opportunity to have this experience with your son and family while our qualified staff runs the whole show. Your son will come home from Cub Camp with a new energy and passion for Scouting, as we've heard from many parents. "We have MANY MANY MANY fond memories of Cub Camp. I hope that Lee will return to serve as a counselor there one day. We always highly recommend Cub Camp to everyone. 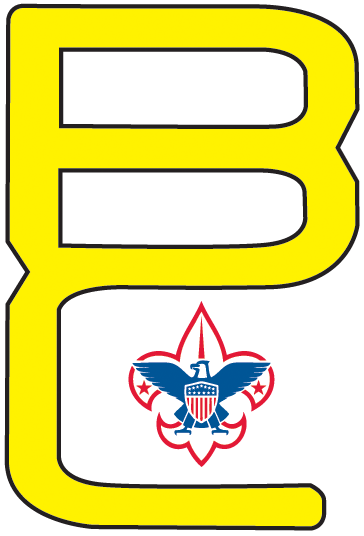 The entire operation there exhibits Excellence In Scouting. At every level, the scouts are encouraged and guided, whether they are a camper or in training to be a counselor or other leader. It's is Old Fashioned Scouting at its best! That the counselors sing songs each mealtime as the campers and parents go to meals, is heartwarming and makes you want to be part of their fun. And different songs every time! They must have 50 or more songs in their repertoire! Impressive! And their patience with the youngest campers is inspiring. The level of their commitment to Scouting Excellence is evident. The scouting traditions are passed on through the songs, skits, announcements, MOOSE Project, trading post, campfire cooking, swimming/canoeing, BB guns, and the friendly rivalry between the different Area Instructors (Scout Craft, Shooting Sports, Water Sports/Dock) is enticing. As a parent, it's what I hope my son will experience and become as a Boy Scout. We always remember our time at Cub Camp as the best of times. Better than Disney World!" "Cub Camp was better than Disney World!" "If your Cub has not had the opportunity to attend Cub Camp, I strongly hope that you consider taking him! My son has attended Cub Camp every year since he was a Tiger, and I think it is absolute favorite thing about being a Cub Scout. He talks about Cub Camp all year long! My son often can feel frustrated and overwhelmed pretty easily. Over the past 4 years, he has made comments to me (in the heat of his emotions) that he doesn't want to do Scouts any more. The first thing I say to him is Cub Camp and he immediately retracts his statement. The Cub Scout program offers so much to our children, but Cub Camp can offer even more! I really hope that you send your boys - you won't regret it, and they won't forget it!